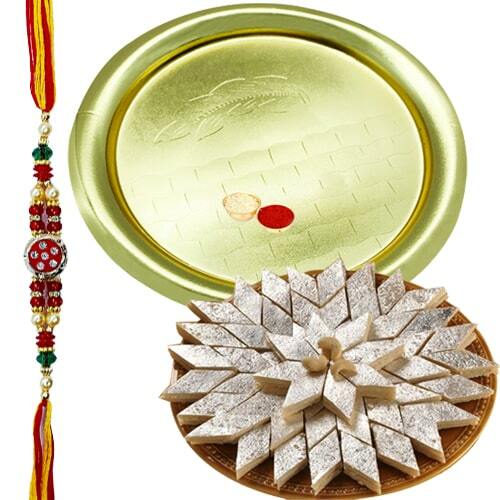 Add an unforgettable charm to your Raksha Bandhan celebration with the aid of this Appealing Gift of Delicate Kaju Katli of 100 Gms from Haldirams and Precious Golden Plated German Silver Thali decked beautifully in the auspicious presence of a free Rakhi, Roli Tilak and Chawal. The size of the Thali vary from 5 to 6 inches. The pattern of the Rakhi may comes with variations.